A dynamic new accounting of the Golden Years of the Quarter Horse. From his personal involvement in the Quarter Horse Industry during its formative years, Ralph Dye has authored many articles in the various publications with which he has been connected. This entertaining and informative volume of the grand old horses and the people involved with them provides today's readers with an authorative account as Dye tells it like it was. This is a portrait of words and pictures that will make you want to saddle up and ride. Ralph Dye was one of the founders of the American Quater Association of West Texas. He went to the AQHA after nine ears in Odessa and served as the assistant to the director of racing in 1967. 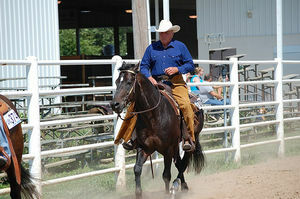 He was later appointed head of the AQHA Transfer Department. He served a short time as executive secretary of the American Paint Horse Association and later as editor of Quarter Horse Racing World. He judged horse shows from Phoenix, AZ. 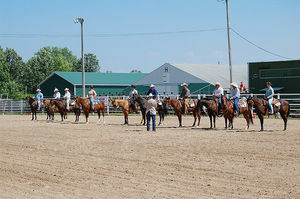 to Jackson, Mississippi, raised and exhibited Quarter Horses from 1948-1976. The most complete account ever written and the best collection of pictures ever published of Poco Bueno.